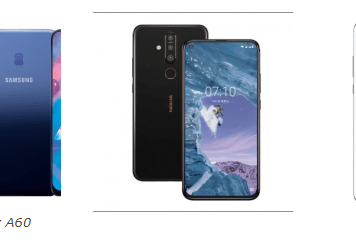 Huawei Nova 3i VS Nokia 8.1: Which One Has Value For Money? Samsung Galaxy S7 VS Nokia 7.1: Which One Will You Choose? Nokia 6 VS Samsung Galaxy J7 Pro: Which One Will You Choose? Huawei Honor 8X VS Nokia 7.1 Plus: Which One Will Perform Better?